Summer continues to impress weather-wise, so there’s been no real excuse to get on the saddle and go for a ride. And there continue to be a range of biking activities to keep people happy; hopefully the weather will keep behaving too. February is a special month because it is traditionally the time of the year when we celebrate cycling at a national level. 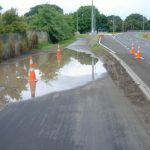 That means it’s time for the Aotearoa Bike Challenge, a month-long initiative to encourage to get out and ride, especially those new to it all. The process is simple, you register on the website and then record your bike rides throughout the month. Organisations can use a bit of peer pressure and competition to encourage their personnel to get riding, and can also compete against other organisations. There are heaps of spot prizes for individuals, as well as the best performing organisations. If you’re a fan of biking to Jellie Park pool and recreation centre, you can take advantage of a promotion running through to April. Collect a Bike Passport from Jellie Park reception and get it stamped every time you bike to Jellie Park; then your sixth entry will be free! Plus, every completed Bike Passport will go into the draw to win either a swim concession card or a Group Fitness class concession card. Revolve Christchurch continue with their series of women-only MTB and road evening rides, many of them targeted at beginners. Two MTB rides are coming up, one at Bottle Lake Forest on Thu Feb 1st and one at McLeans Forest on Wed 14th Feb. The Nostalgia Festival at Ferrymead on Sat 10th Feb provides a great excuse to ride out there and beat the parking. Action Bicycle Club will be leading a ride from town to the Festival, starting at 11am from their shop (8 Walker St). If you need a fix of cycle culture before the next Big Bike Film Night rolls into town later this year, check out the special screening of “The Moment”, documenting the birth of free-ride mountain biking. This movie is playing at the Charles Luney Auditorium (Winchester St, Merivale) on Fri 16th Feb from 7.30pm; get your tickets now. If you are fortunate enough to have some time to spare mid-week, the St Albans Residents Assn hold a social guided bike tour every second Wednesday at 10.00am . The group meets at the Community Centre Car Park on Caledonian Road , opposite Ranfurly Street and bikes a slow circuit somewhere around the city for one and half to two hours; usually a route based around the Major Cycleways. 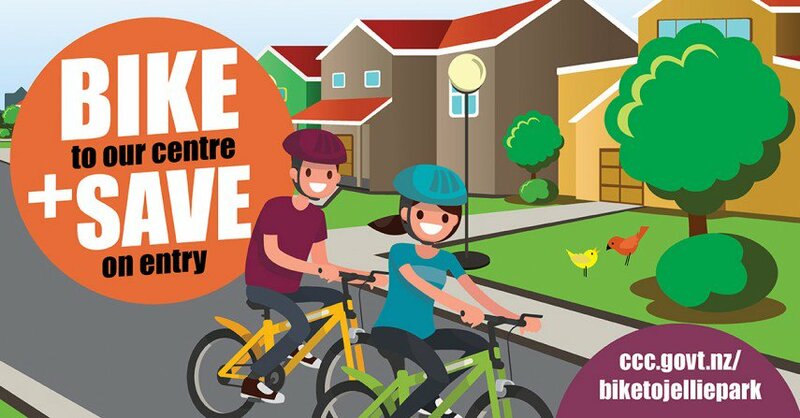 February is Go By Bike Month , on Feb 14th the ride will be a ‘Hello Neighbour ‘ , 3 Cycleway Circuit . 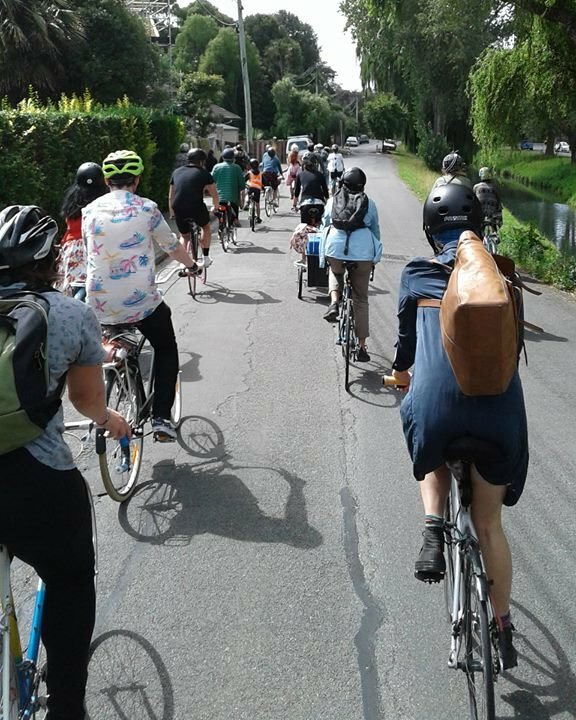 Everyone welcome to join us at 10am to ride the Papanui Parallel, Northern Rail Cycleway and the Uni-Cycle Cycleway circuit, in either direction. It will be a balloon on bike day, and riders on the paths will be greeted as a neighbour. No special need to meet at 10.oo am , if you wish to simply ride the route to suit in any direction from your own location and look out for the friendly wee group, a greeting awaits. Is there an actual Go-by-bike day this year? Thanks, just trying to organise something for work. Think I’ll do the traditional Wednesday.